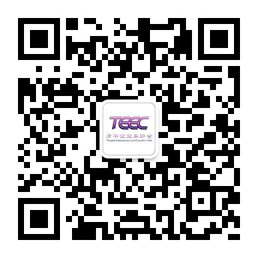 Tsinghua Entrepreneurs and Executive Club (TEEC) is an organization founded by Tsinghua alumni entrepreneurs to promote innovation and entrepreneurship in high tech industries. In 2001, the Tsinghua Entrepreneur Group (TEG), predecessor of TEEC, was created in Silicon Valley by a group of Tsinghua alumni entrepreneurs. On April 23rd, 2005, Dozens of Tsinghua entrepreneurs from all over the world officially founded TEEC in Beijing Tsinghua Science Park. The mission of TEEC is to provide a platform for members to receive support, exchange succor and contribute help. In the meantime, TEEC aims to support aspiring young entrepreneurs innovation. It has been making great effort to give back to its alma mater and the society. TEEC sponsored “Source Program”, “Tsinghua Instructors Program”, and participated in the founding of the New Century Development Fund of Tsinghua University. As of 2012, TEEC has more than 500 members from industries including TMT, clean tech, financial services, biotech and healthcare. It currently has chapters in Beijing, Shanghai, Shenzhen, Chengdu, Xi'an, Silicon Valley, New York ,Tokyo and Germany . Hundreds of companies founded or managed by TEEC members, and nearly 100 went public domestically or abroad. The majority of the companies founded by TEEC members have received funding from well-known VC/PE firms, with investment surpassing more than hundreds of billions of RMB. Those that have gone public have a total market value of more than tenthousands of billions of RMB. The private equity funds started and managed by TEEC members are worth about RMB 1000 billion.